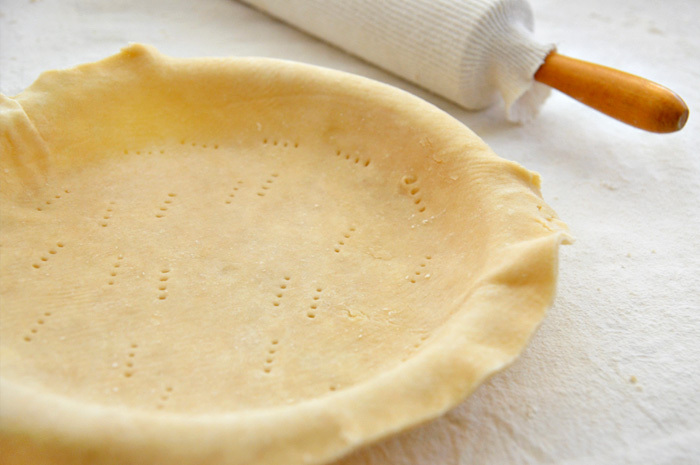 Here's a basic pie crust recipe for a 9-inch pie plate. Perfectly flaky and delicious, this crust recipe is very easy to make and ideal for both sweet and savory pies. Double the recipe for two-crust pies. In a large bowl, combine flour and salt. Cut in the shortening and butter with a pastry blender or two forks until the mixture resembles a coarse meal.